Elyse Salzmann is a partner at Accuracy. She has more than 22 years’ experience in corporate financial advisory, with the main areas of focus being the Media & Entertainment, Telecom and Retail sectors. Elyse, prior to joining Accuracy, gained experience in advisory and financial audit during 10 years with Arthur Andersen and Ernst & Young. She was then among one of the founders of Accuracy. Elyse specialises in the assessment of intellectual property rights, business plan set-up, financial analysis and due diligences in the Media & Entertainment area, Telecom and retail sectors in a broad range of contexts: transaction, decision-making, financing for tax purposes or litigation. Elyse speaks French, English, and Spanish. Elyse manages the Media and Entertainment team at Accuracy. 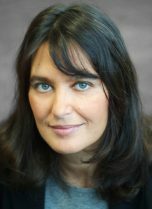 She has developed deep expertise in the valuation of intellectual property rights related to film, TV or music content. She has also acquired an extensive knowledge of the recent digital transformation and has been involved in strategic and financial analysis of the new business models applied in this industry. Elyse has led and been involved in worldwide engagements for content producers, distributors, broadcasters and internet service providers with a focus on European countries (UK, Germany, France, Belgium, The Netherlands, Italy, Spain), as well as USA and Canada. Elyse works regularly on complex situations to carry out financial diagnosis, business review, modelling and business plan set-up for decision making or in the context of transactions n other various sectors such as telecom, retail, real estate and many more. as a collateral of the borrowing base in the context of a loan. remedies related to the divestment of retail stores. determination of future cash-flows derived from a normative production year. Expert report in a litigation between telecom operators relating to the value of a mobile customer. Buy-side due diligence and valuation support in the context of the contemplated acquisition of a European retail company by a leading retail group, including: in-depth working capital requirement analysis, analysis of the historical profitability, critical review of the business plan and valuation of the company.